1. The first impression is the only impression: No matter how good the interior of your home looks, buyers have already judged your home before they walk through the door. You never have a second chance to make a first impression. It's important to make people feel warm, welcome and safe as they approach the house. Spruce up your home's exterior with inexpensive shrubs and brightly colored flowers. You can typically get a 100-percent return on the money you put into your home's curb appeal. Entryway's are also important. You use it as a utility space for your coat and keys. But, when you're selling. make it welcoming by putting in a small bench, a vase of fresh-cut flowers or even some cookies. 2. Always be ready to show: Your house needs to be "show-ready" at all times-you never know when your buyer is going to walk through the door. You have to be available whenever they want to come see the place and it has to be in tip-top shape. Don't leave dishes in the sink, keep the dishwasher cleaned out, the bathrooms sparkling and make sure there are no dust bunnies in the corners. It's a little convenient, but it will get your house sold. 3. The Kitchen comes first: You're not actually selling your house, you're selling your kitchen-that's how important it is. The benefits of remodeling your kitchen are endless, and the best part of that is that you'll probably get 85% of your money back. it may be a few thousand dollars to replace countertops where a buyer may knock $10,000 off the asking price if your kitchen looks dated. The fastest, most inexpensive kitchen updates include painting and new cabinet hardware. Use a neutral-color paint so you can present buyers with a blank canvas where they can start envisioning their own style. If you have a little money to spend, buy one fancy stainless steel appliance. Why one? Because when people see one high-end appliance they think all the rest are expensive too and it updates the kitchen. 4. 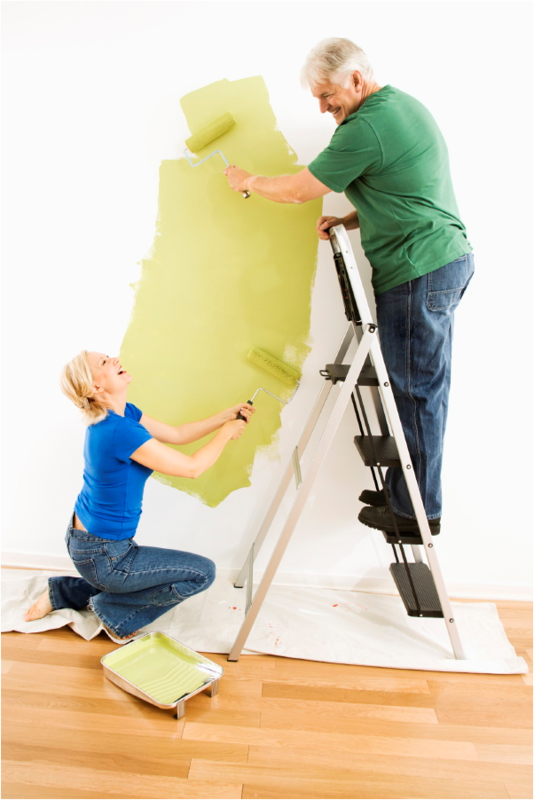 Take the home out of your house: One of the most important things to do when selling your house is to de-personalize it. the more personal stuff in your house, the less potential buyers can imagine themselves living there. Get rid of a third of your stuff-put it in storage. This includes family photos, memorabilia collections and personal keepsakes. Consider hiring a home stager to maximize the full potential of your home. Staging simple means arranging your furniture to best showcase the floor plan and maximize the use of space. 5. Don't over-upgrade: Quick fixes before selling always pay off. Mammoth makeovers, not so much. You probably won't get your money back if you do a huge improvement project before you put your house on the market. Instead, do upgrades that will pay off and get top dollar. Get a new fresh coat of paint on the walls. Clean the curtains or go buy some inexpensive new ones. Replace door handles, cabinet hardware, make sure closet doors are on track, fix leaky faucets and clean the grout. 6. Conceal the critters: You might think a cuddly dog would warm the hearts of potential buyers, but you'd be wrong. Not everybody is a dog-or-cat lover. Buyers don't want to walk in your home and see a bowl full of dog food, smell the kitty litter box or have tufts of pet hair stuck to their clothes. It will give buyers the impression that your house is not clean. If you're planning an open house, send the critters to a pet hotel for the day. 7. Play the agent field: A secret sale killer is hiring the wrong broker. Make sure you have a broker who is totally informed. They must constantly monitor the multiple listing service (MLS), know what properties are going on the market and know the comps in your neighborhood. Find a broker who embraces technology-a tech-savvy one has many tools to get your house sold. 8. Light it up: maximize the light in your home. After location, good light is the one thing that every buyer cites that they want in a home. Take down the drapes, clean the windows, change the lampshades, increase the wattage of your light bulbs and cut the bushes outside to let in sunshine. Do what you have to do make your house bright an cheery-it will make it more sellable. 9. Half-empty closets: Storage is something every buyer is looking for and can never have enough of. talk half the stuff out of your closets then neatly organize what's left in there. Buyers will snoop, so be sure to keep all your closets and cabinets clean and tidy. 10. Pricing it right: Find out what your home is worth, then shave 15 to 20 percent off the price. You'll be stampeded by buyers with multiple bids-even in the worst markets-and they'll bid up the price over what it's worth. It takes real courage and most sellers don't want to risk it, but it's the single best strategy to sell a home in today's market.